all images below are copyright Dirk Terrell. Please contact me for all usage, private or commercial, at terrell at boulder.swri.edu. 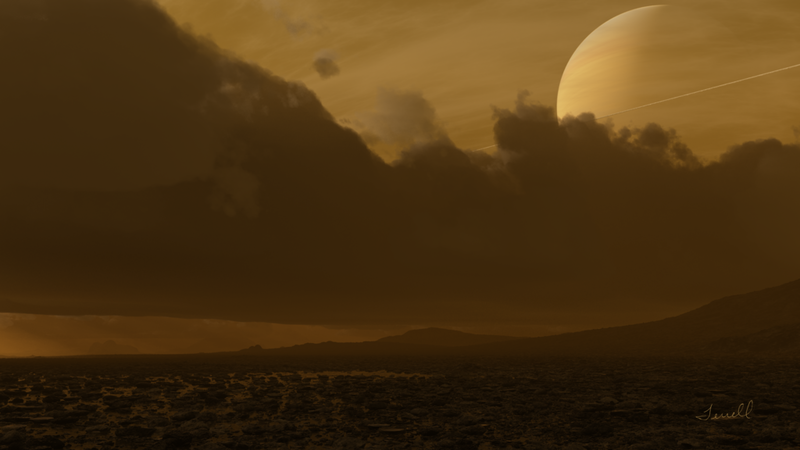 Exomoon - A moon orbiting a planet transits the disk of the parent star. 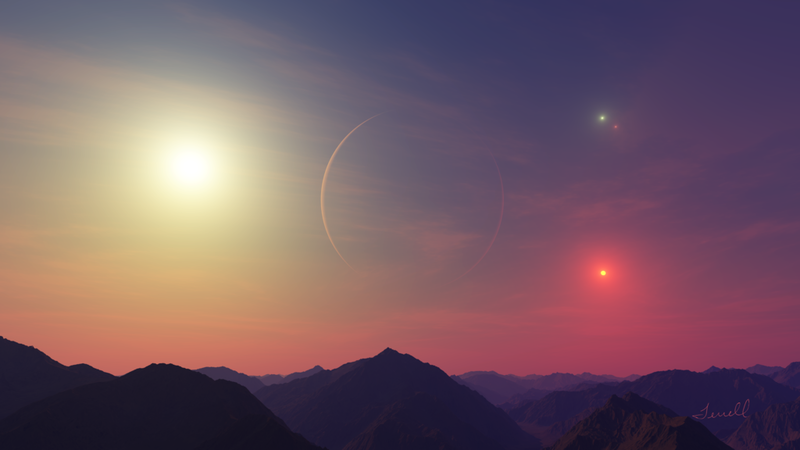 Sunset in a Binary System - One star of a binary sets over a mountain range. 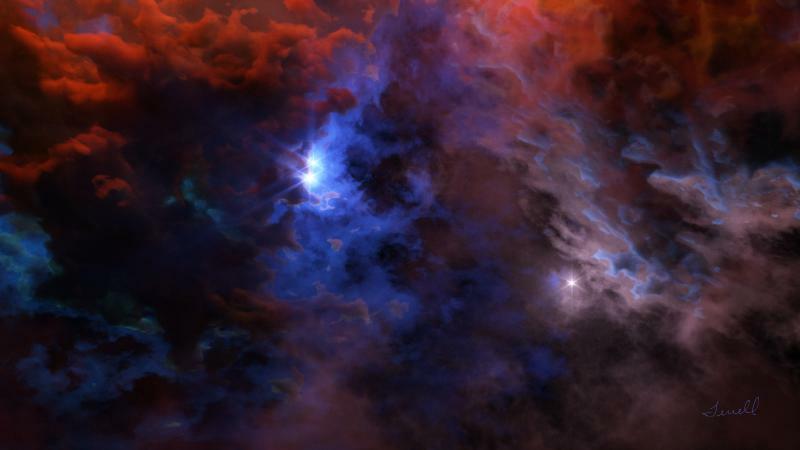 Birth of a Triple System - The birth of a triple star system. 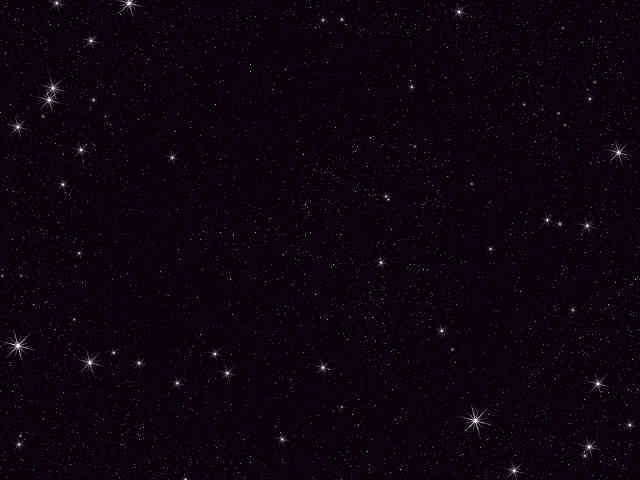 Globular Cluster - A view from a planet near a globular cluster. 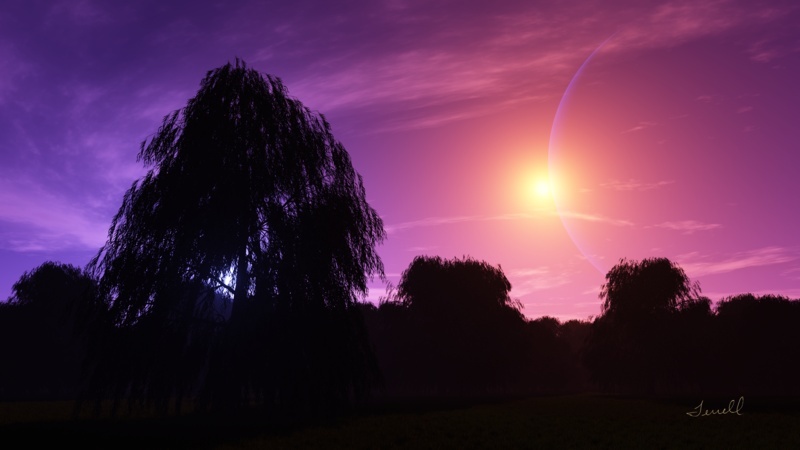 Eclipse - An eclipse about to occur in a binary star system. Yosemite Fantasy II - A fantasy view down Yosemite Valley, in the spirit of Bierstadt. Yosemite Fantasy I - The first of a series of Yosemite-based fantasy pieces. Flatirons Fantasy V - A view of Boulder's Flatirons with a different background. Binary Kuiper Belt Object - Closeup view of a binary Kuiper Belt Object (KBO). Saturn from Titan - Saturn as seen from the surface of Titan. 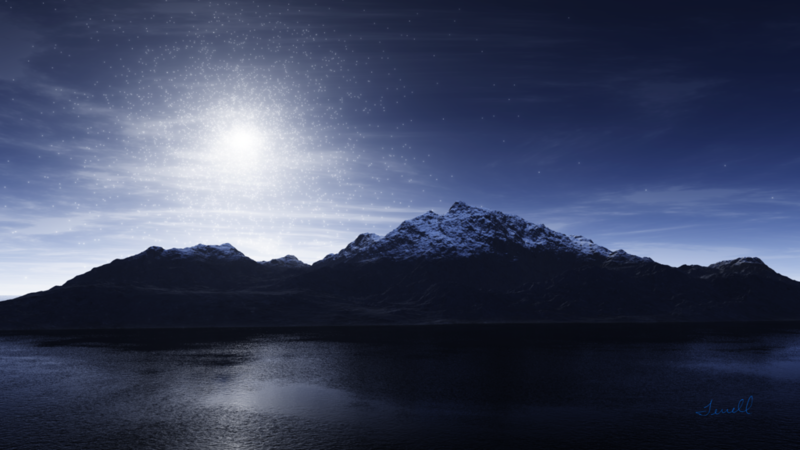 Sunset at Sunrise - One star of a binary sets as another rises behind the viewer, with an open cluster nearby. 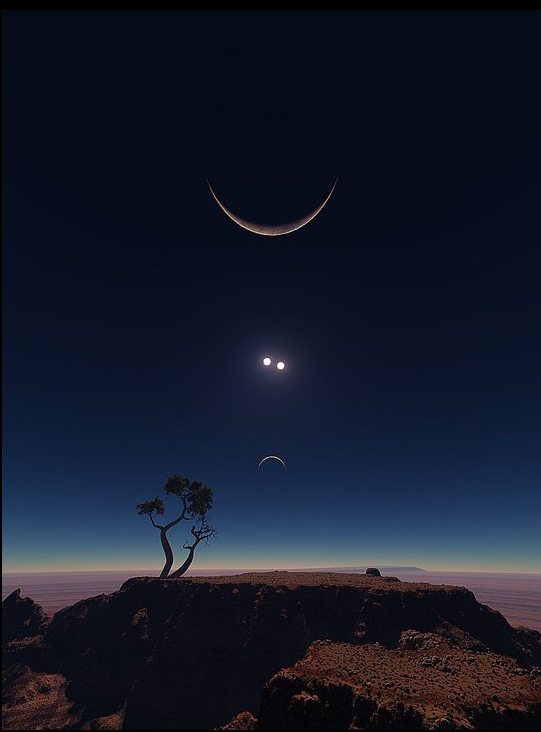 Serene Triplicity - A serene view in a triple star system. 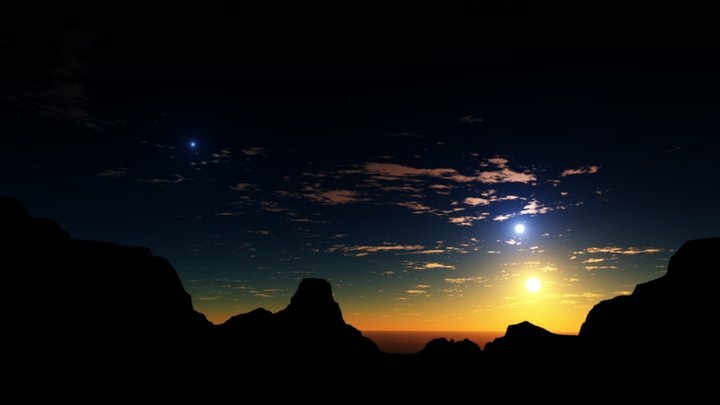 The parent star of the planet is behind the viewer and the other two stars are visible in the distance. Canyon - Looking down a water-filled canyon. Syzygy II - A re-working of the Syzygy piece below. 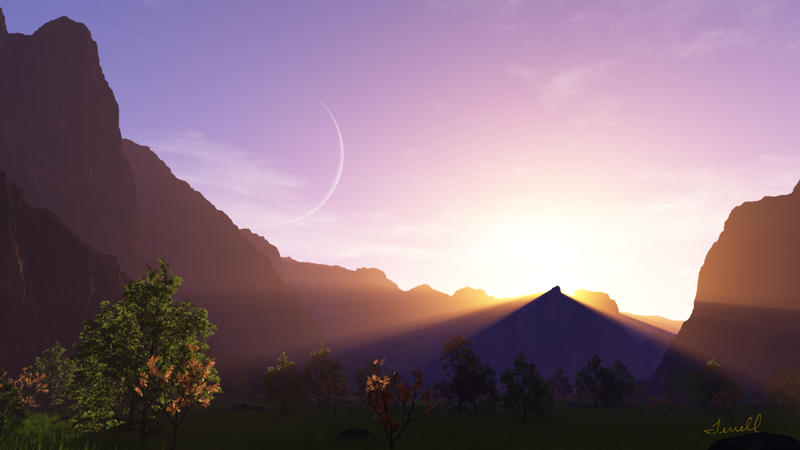 Tropical Sunrise - Sunrise on a tropical planet in a binary with a nearby cluster in the sky. 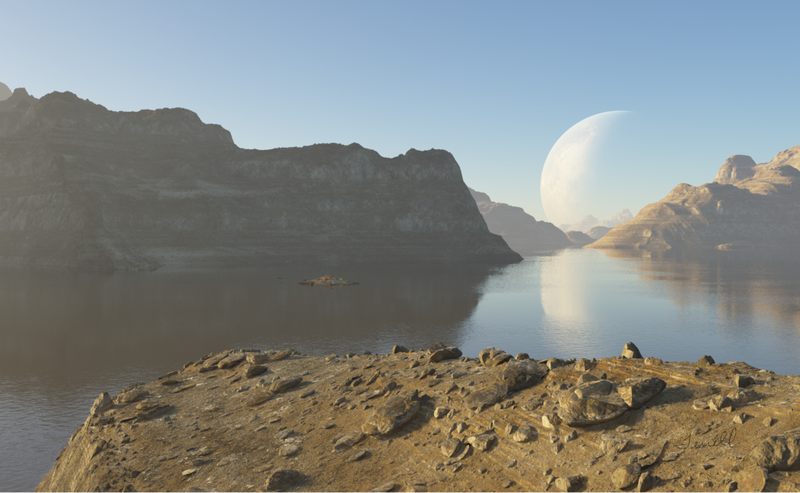 Kepler-47 - A view of the outer planet in Kepler-47 from an imaginary moon. 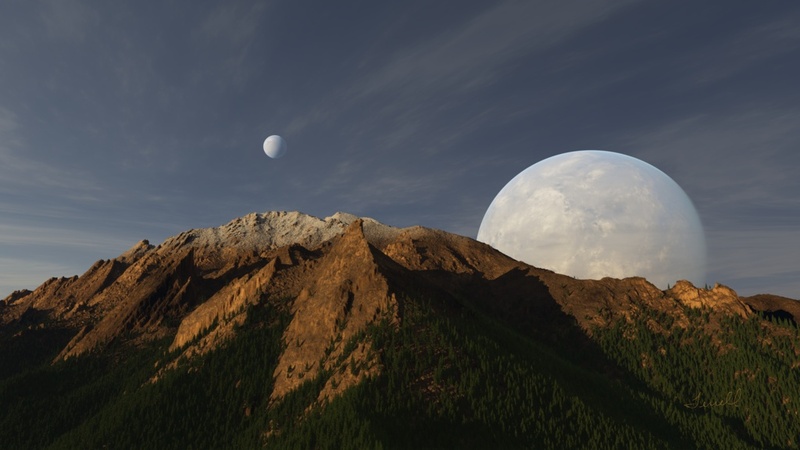 This system was the first circumbinary planetary system discovered to have more than one planet. 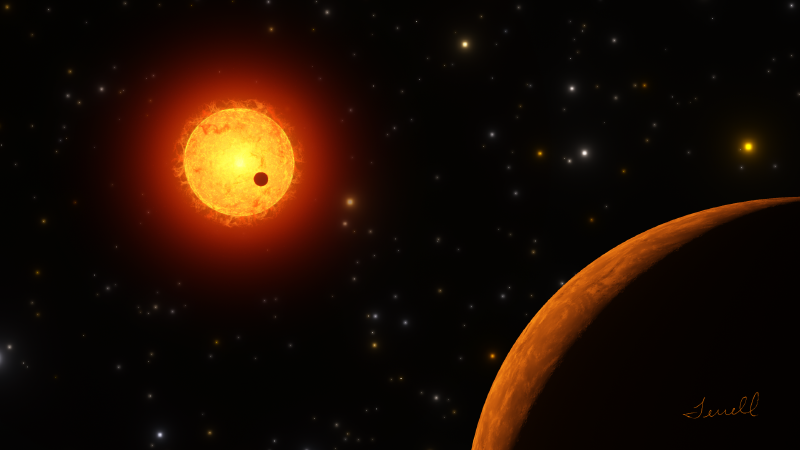 Wide Binary - Another view of a planetary system in a wide binary. 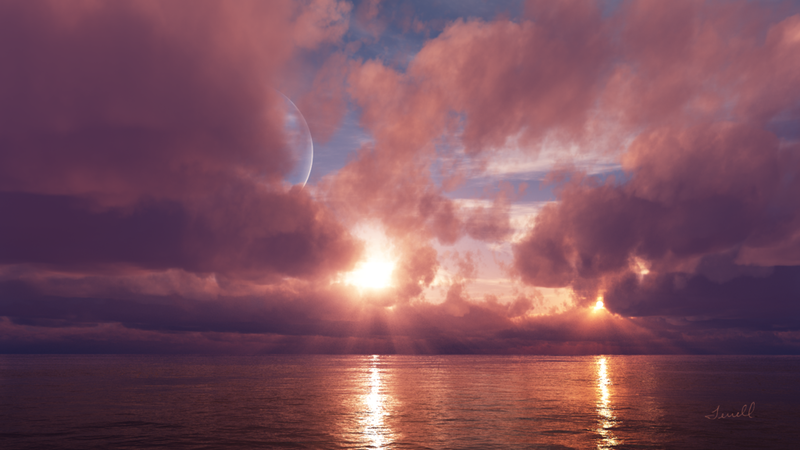 Sunset on a Four-star World - Yet another view of PH1 (Kepler-64), from an imaginary moon of the gas giant planet. 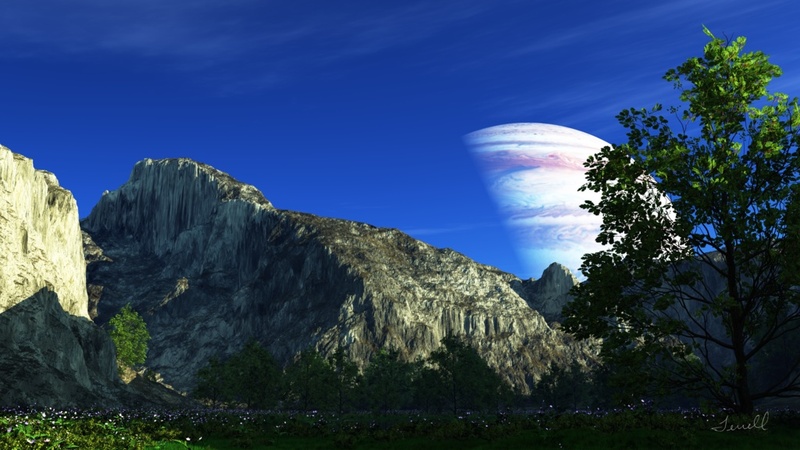 PH1 - Another view of PH1, (Kepler-64) from just above the clouds of the gas giant planet. 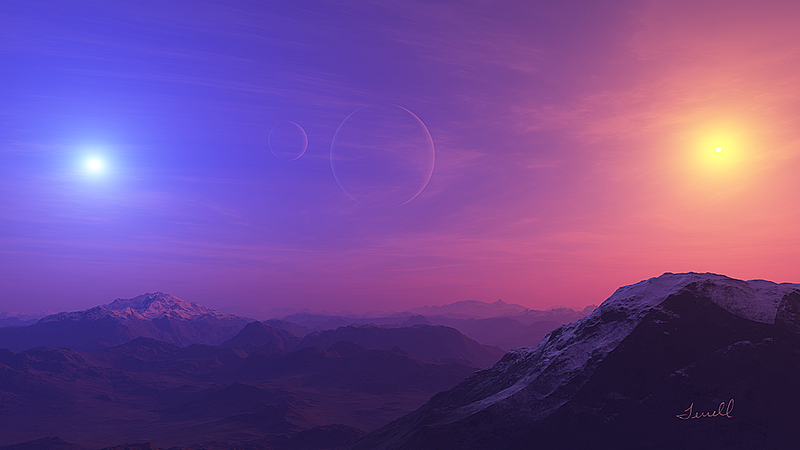 Double Sunset - A double sunset on a tropical moon orbiting a gas giant. 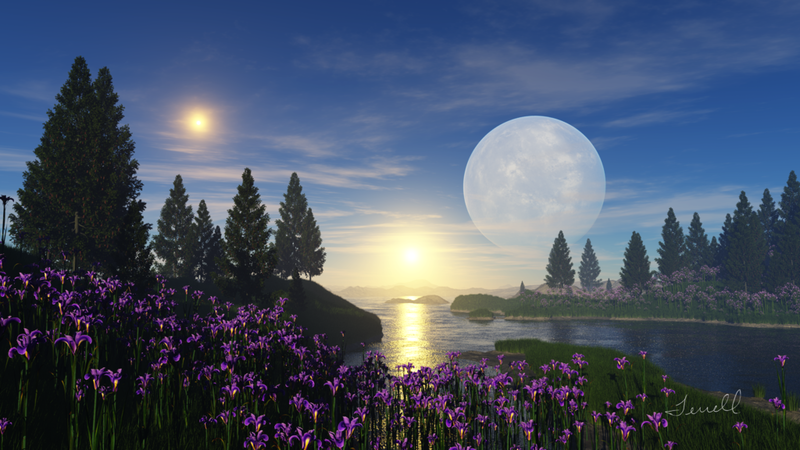 Kepler-16 - A view of the Kepler-16 circumbinary planet. 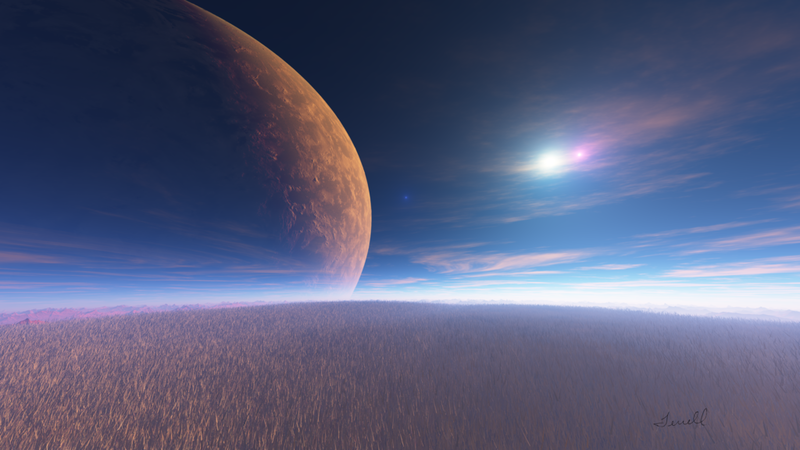 Wide Binary - A view of a wide binary from the moon of a gas giant. 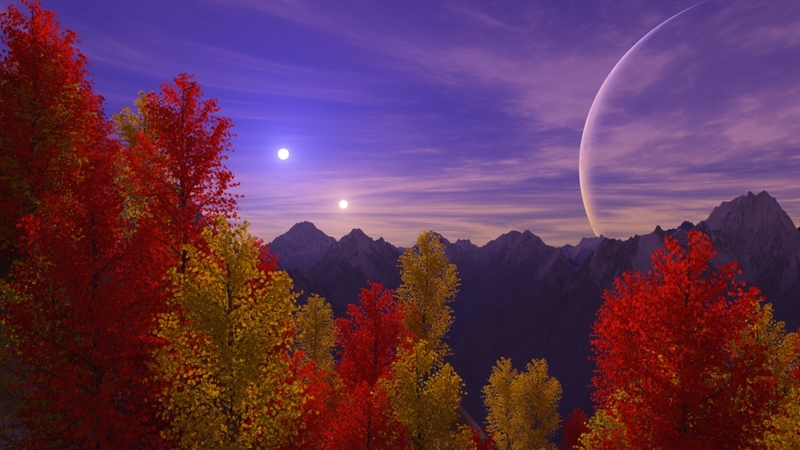 Fall Colors in a Binary - A colorful view in a binary star system. 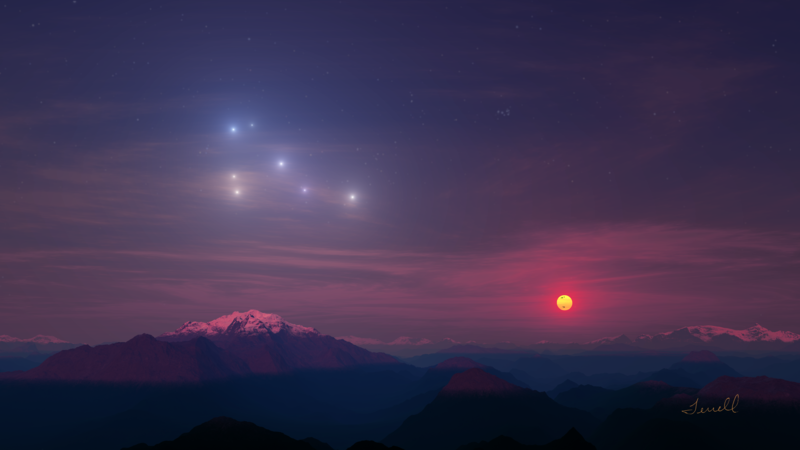 Capella - An imaginary view of the quadruple system Capella. 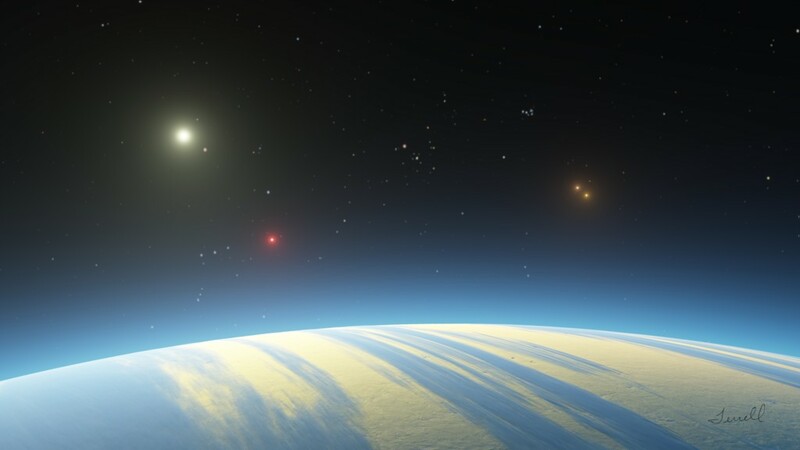 The Calm Before the Storm - The calm before the storm in a triple star system. 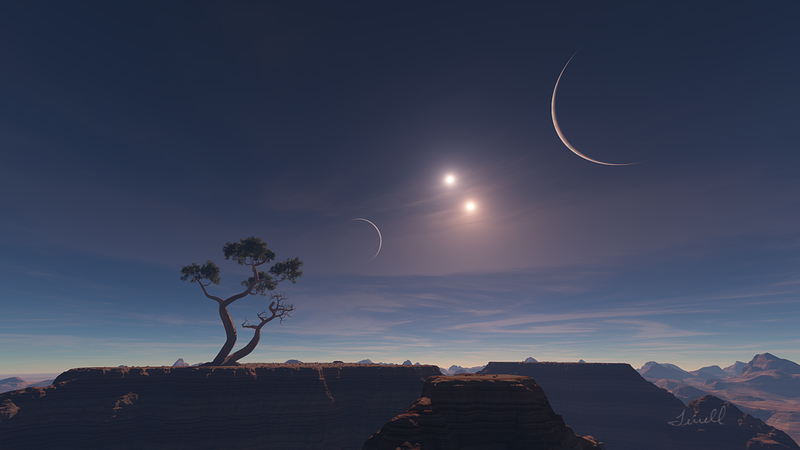 Albireo - A view from an imaginary planet around the triple system Albireo. 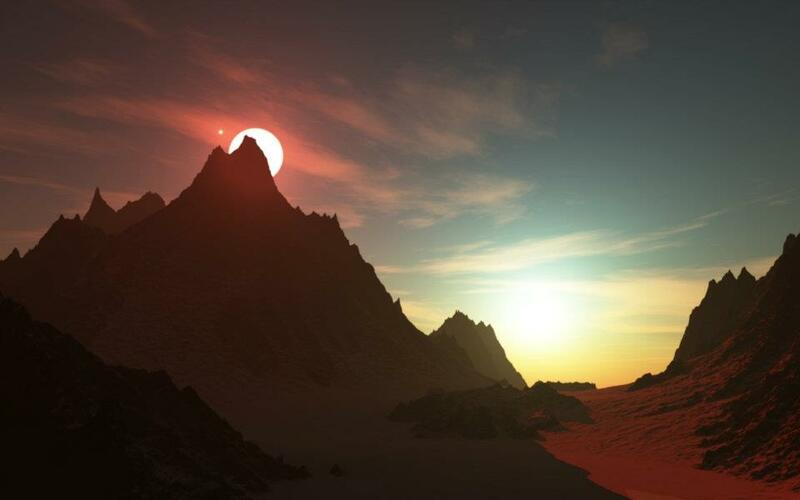 At the End of the Day - A sunset on a dry but not lifeless planet in a binary. 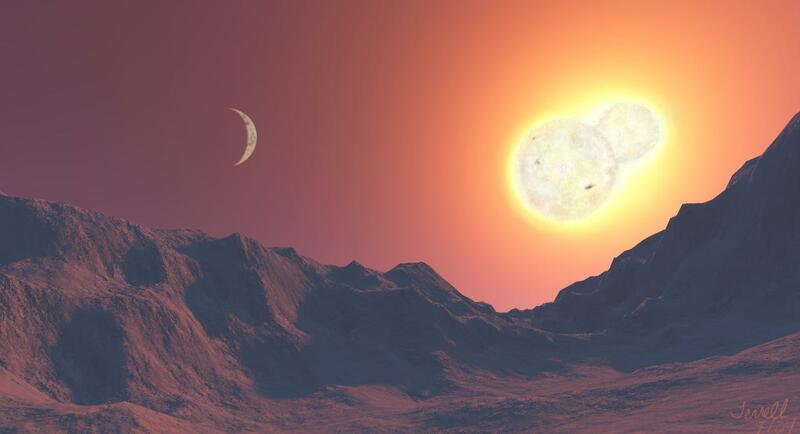 Syzygy - An interesting alignment in a binary star system. Sunrise of a W UMa System - Sunrise in a W UMa system. 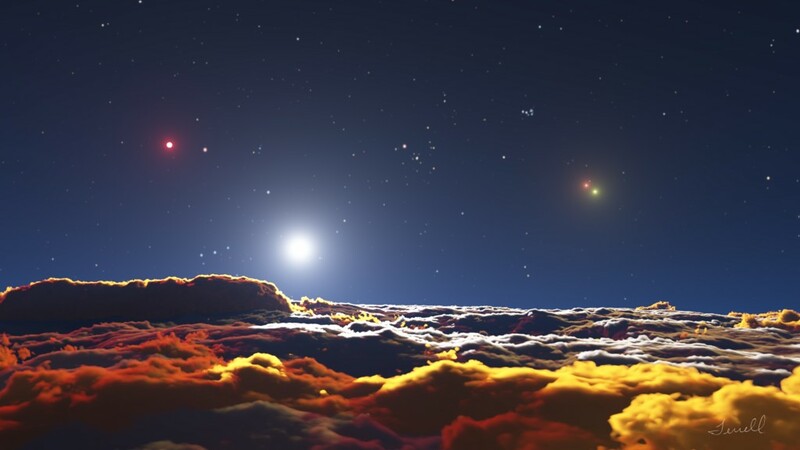 I did this painting after doing some research work on habitable planets in these binaries. TU Muscae - A view of the massive overcontact binary TU Muscae. 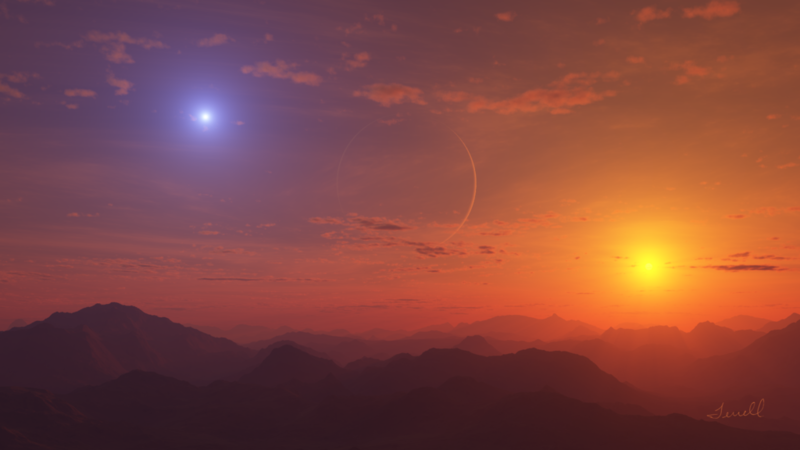 Cataclysmic Serenity - A binary star sunset from a tropical planet. 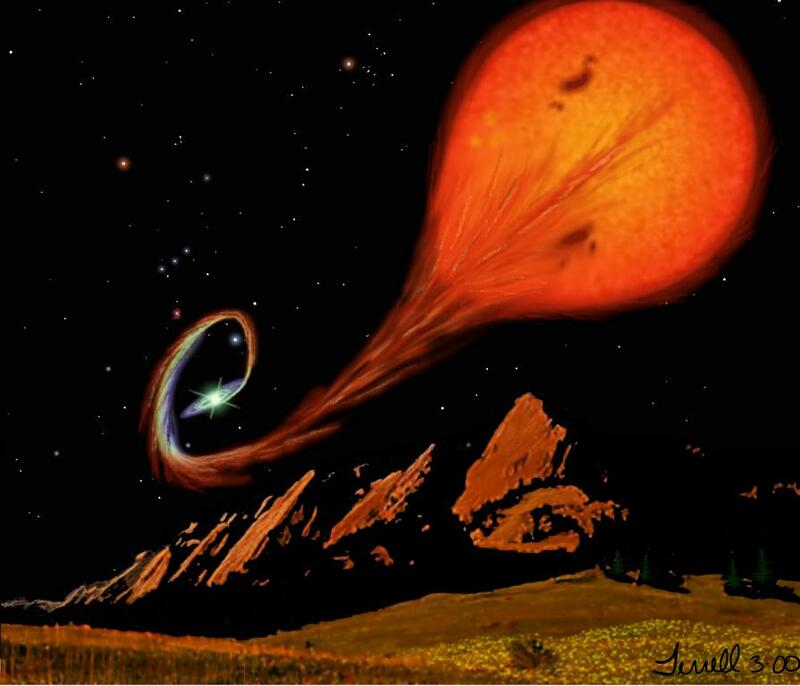 Flatirons Fantasy IV - A supernova explodes over the Flatirons. Flatirons Fantasy II - The first "production" piece of the Flatirons Fantasy series. 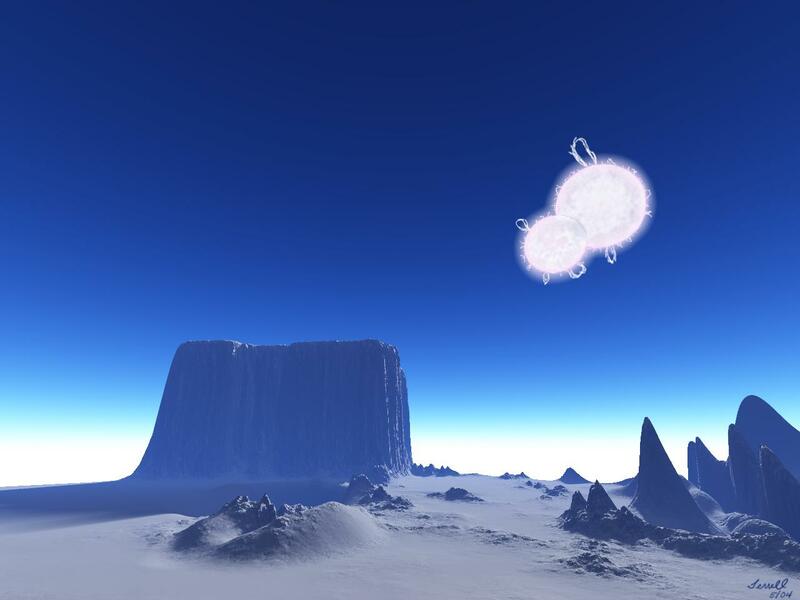 This one shows an interacting binary with a cool lobe-filling star that is dumping matter onto a white dwarf companion. 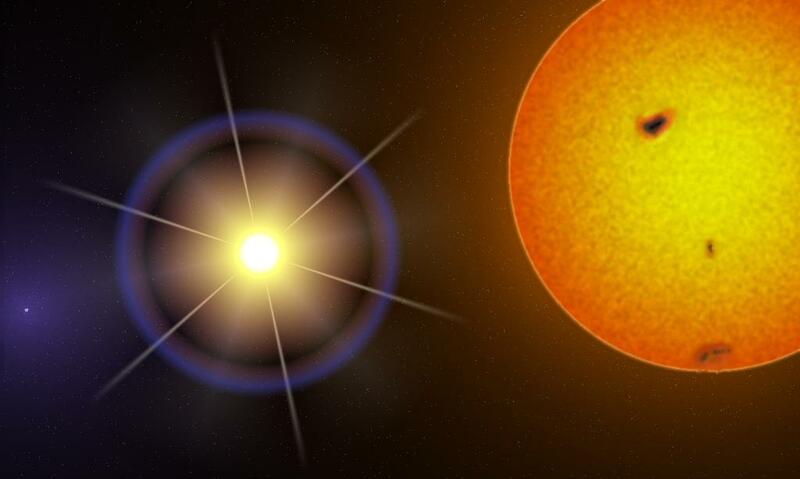 Binary Supernova - A star in a binary system undergoes a supernova explosion. 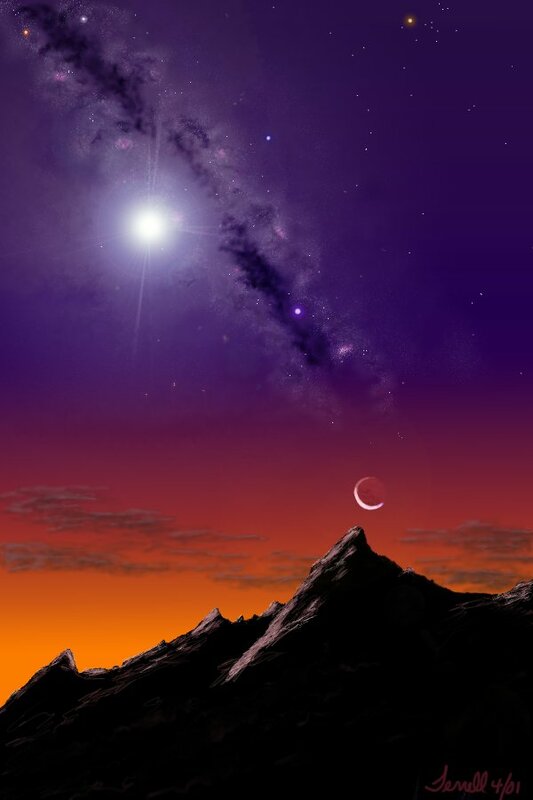 This piece was done for the cover of "Eclipsing Binary Stars: Modeling and Analysis" by Kallrath and Milone.